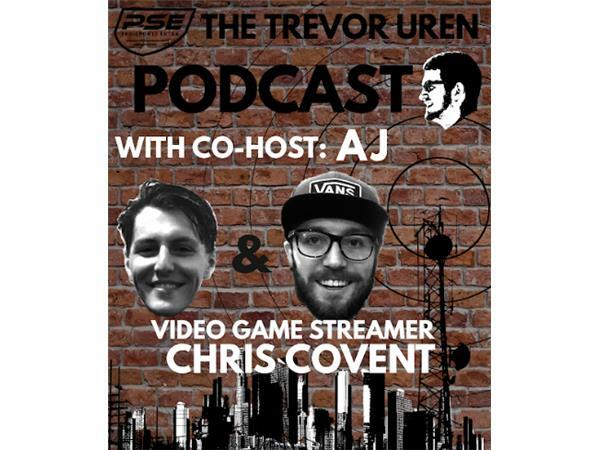 Tonight we welcome on video game streamer, Chris Covent! Covent is a daily Mixer Streamer who goes live every night around 9PM Eastern. He is one of the World's Top Fortnite players, and one of the biggest streamers on the Mixer Network. He is also Trevor favorite streamer. We talk about everything from his relationship with streamer Britni and how being in the same industry has helped him. We also talk about how Fortnite has changed his entire life, and how streaming has changed within the past year. If you listen in you'll also learn about his all-time favorite game(s), and what he believes will happen to the gaming industry over the next 10 years. To watch his stream click here. You can follow Covent on Twitter, YouTube, and Instagram!